It's a limo suitable for captains of industry and members of the Japanese imperial family. 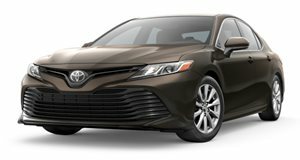 The most luxurious vehicles that Toyota makes typically wear the Lexus badge. Even back in Japan, where the Lexus marque first came home to roost back in 2005. But this model is more opulent than any Lexus you're likely to find. It's the new , and it's the absolute crème de la crème offered by one of the world's largest automakers. Offered as a Toyota (not a Lexus), the new third-generation replaces a long-serving limousine that's been on the (Japanese domestic) market for 21 years now. At 210 inches long, it's not only 2.5" longer than the outgoing model, but 4" longer than the flagship , and just a couple inches shy of a . That means more legroom for the captains of industry, government ministers, and members of the imperial household who'll be chauffeured around in the classically styled limo. As you might expect of Toyota's latest, it's a hybrid. The 5.0-liter V8 engine produces 381 metric horsepower and the electric motor another 224 for a combined output of 431 hp – slightly more than the LS500h – and it's designed to run as smooth and quiet as possible. To give you an idea of how much care Toyota takes in building the , consider that the Phoenix emblem which adorns each vehicle takes a craftsman six weeks to engrave and polish to perfection. The elegant bodywork is coated in seven layers of paint, wet-sanded, and coated in a mirror finish for optimal luster. And inside, those fortunate enough (in every sense of the term) to find themselves on board are treated to the height of luxury. The long list of features include power-adjustable leg rests, 20 speakers, 11.6-inch rear-seat infotainment display, and a 7-inch touch panel controller in the rear seat arm rest to control the audio, air conditioning, massage seats, and power curtains. And to cap it all off, there's a lattice-motif headliner that looks fancier than anything this side of Rolls-Royce's starlight ceiling. And as you might have guessed, it's expensive. The new carries a sticker price of 19,600,000 yen – or about $178,000 at current exchange rates. That'd be enough to put an American customer in a new LS 500h, with more than enough money to buy an LC 500h coupe for the weekend. At that rate, Toyota expects to sell about 50 of them, just in Japan, each month.